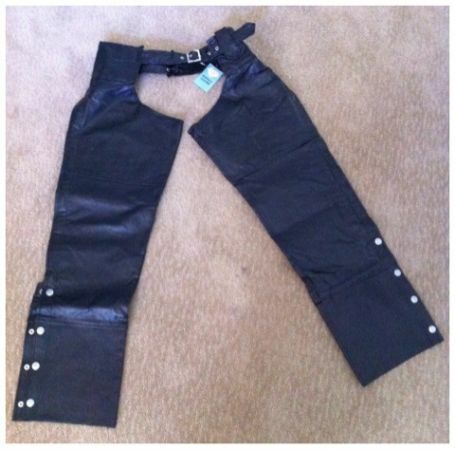 One pair of Diamond Plate Buffalo Leather Chaps for sale.Size XLInseam 29$20 OBOEmail Chaps in the subject line and include your phone number. Diamond plate buffalo leather jacket 2x , large chaps. Jacket has a little paint on one sleeve.